By Garrett Ford, President of EasyCare Inc. I had a friend reach out and ask if we have anything in the works for new hoof boots. 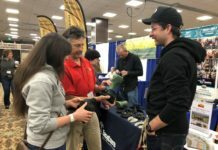 He was impressed with the new EasyShoe Flex line but is a barefoot hoof boot guy at heart. 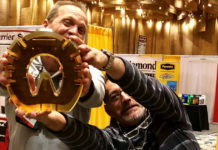 With the EasyShoe Flex complete, I let him know that we are now focusing on new hoof boot concepts and our goal is to bring two very competitive designs to our dealers and horse owners by early 2019. 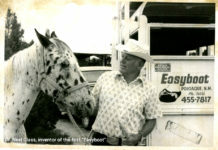 Building on EasyCare’s longevity and experience in the horse boot business – over 47 years! – we have two boot prototypes undergoing strenuous endurance tests. The first boot will be part of our performance line. 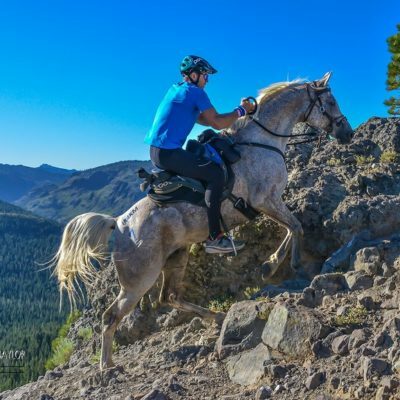 It will be ideal for 50- and 100- mile endurance riders who ride fast, over long distances and through difficult terrain. And it will also be a great trail and recreational boot. 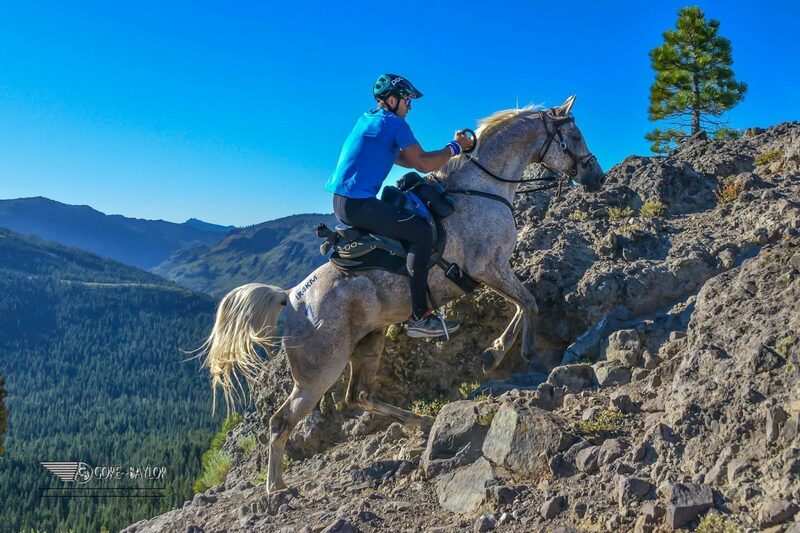 The prototype has already placed first in two very rugged 50-mile endurance tests. A Saturday prototype test. 32 miles to 12,700 feet elevation in 4 hours. 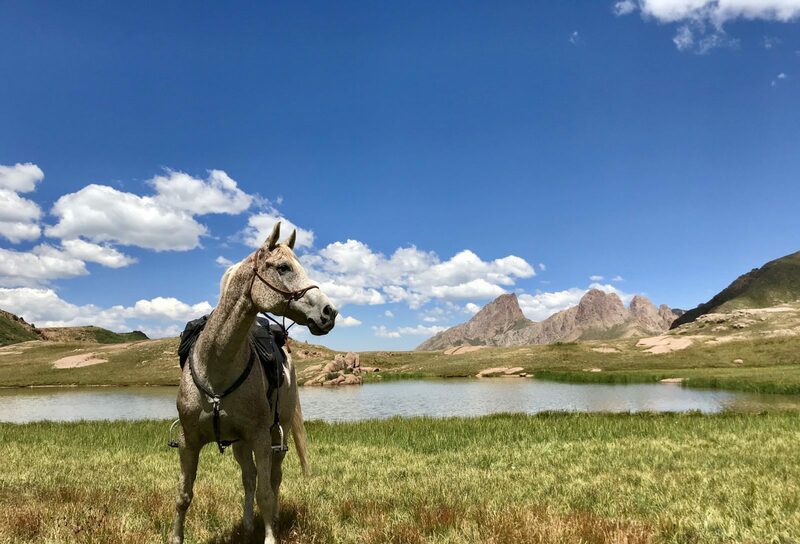 The peaks in the background are over 14,000 feet tall. 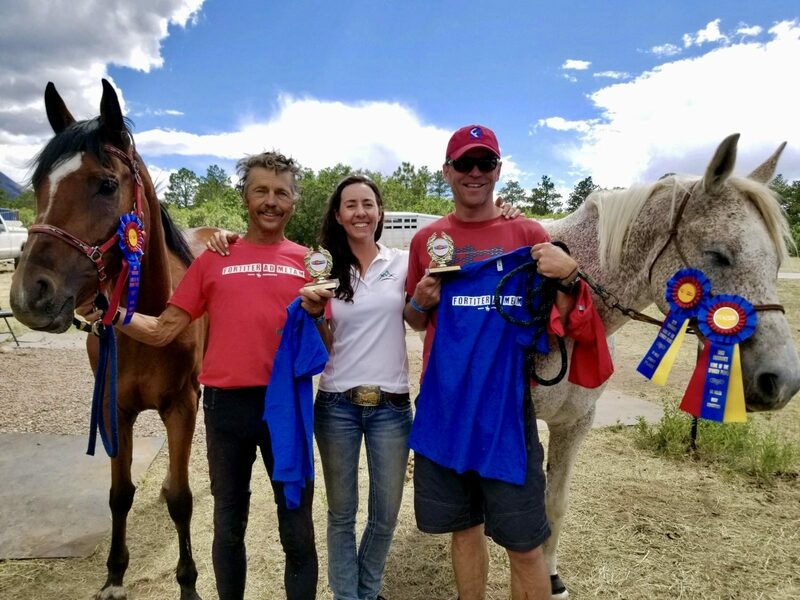 Tie for 1st and Best Condition at the SoCo Endurance event. The new design was flawless. You can look forward to options, adjustability and heel pivot from this new performance product line. The boot will be sold in 5 different configuration options and all parts will be interchangeable. 1. Hoof length and heel height will be adjustable. 2. Heat fitting can be performed on all parts for exaggerated fit applications. 3. Several of the designs will pivot in the heel area. 4. One of the 5 configuration options will be a Glue-On shell. You can not only adjust the length, but also the density of heel cushioning, making this a very unique model. The Glue-On Shell will have a rubber insert to help cushion the heel. 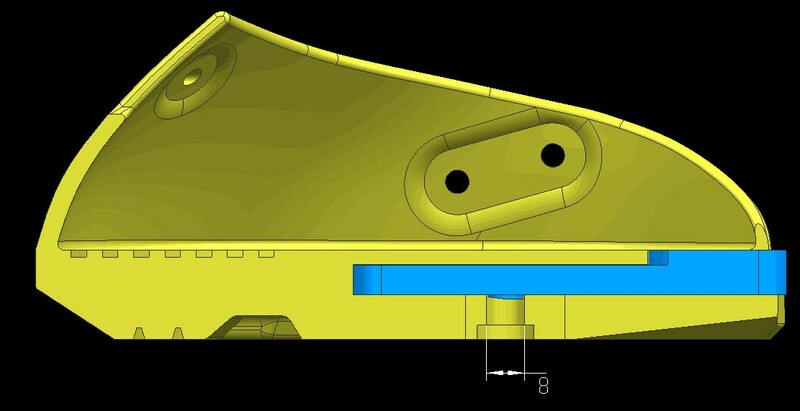 Shell is molded long and can be adjusted in length. 5. Add a gaiter and it’s very similar to the Easyboot Glove with one exciting exception – it’s a pivoting gaiter. 6. 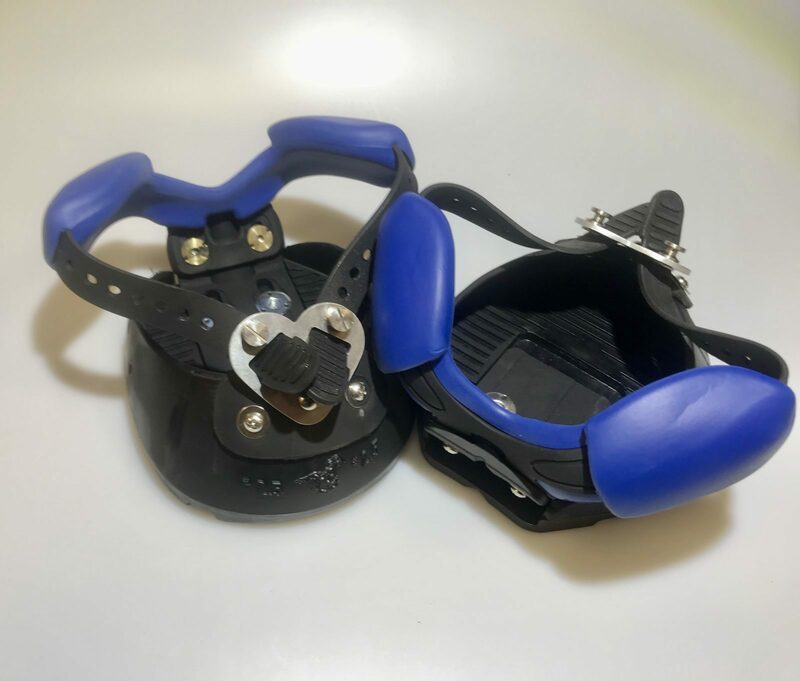 Take a look at the blue heel insert below. You’ll be able to fully adjust the heel density with different inserts. A gaiter that pivots with the heel. Different density heel inserts. 7. Easily adjust hoof length and heel height through a Heel Sling and Heel Counter. The two work in tandem to achieve a better fit on more hoof shapes. They’re protected by a slip-on EVA cover, which can be replaced as needed. 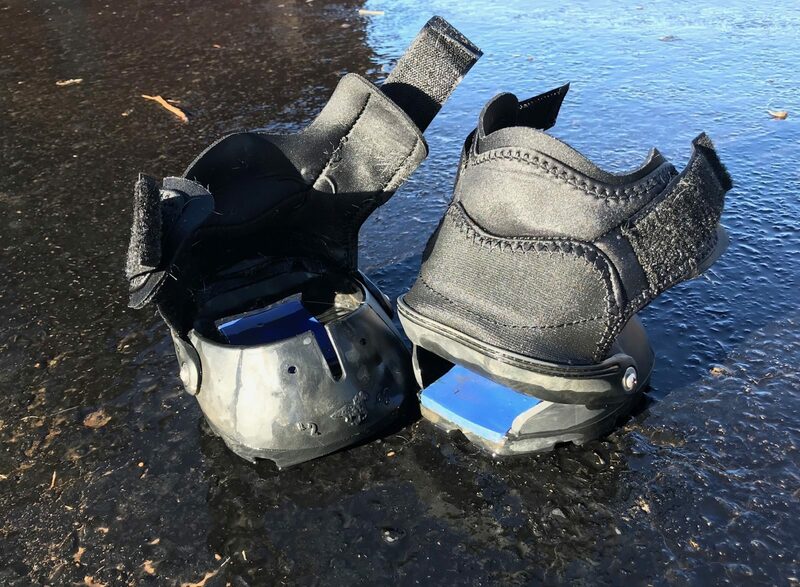 The “Heel Counter” slides in the sole of the boot to accommodate different hoof lengths. The “Heel Sling” adjusts up and down to accommodate different heel heights. No velcro or cables. 8. One of the new EasyCare boots will have a rear arching heel bulb to adjust both heel length and heel height. The Australian company Scoot Boot has a similar style and it has some nice features, but lacks the adjustment option. In addition to the new performance line we are also close to launching a new boot in our pleasure category. It will be a great trail riding boot that’s soft, flexible and adjustable. Here’s a recent photo just before taking it out on a test ride. 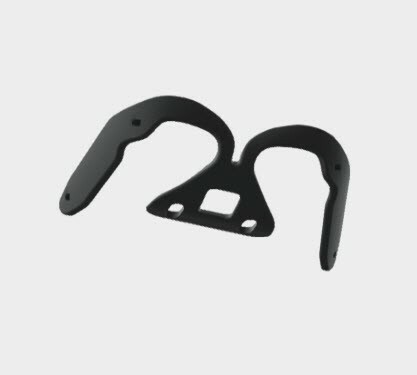 We recognize that horses feet come in many shapes and sizes, so our new designs are focused on options and adjustability. Watch for more test results in 2018 and the full line to be available in early 2019. 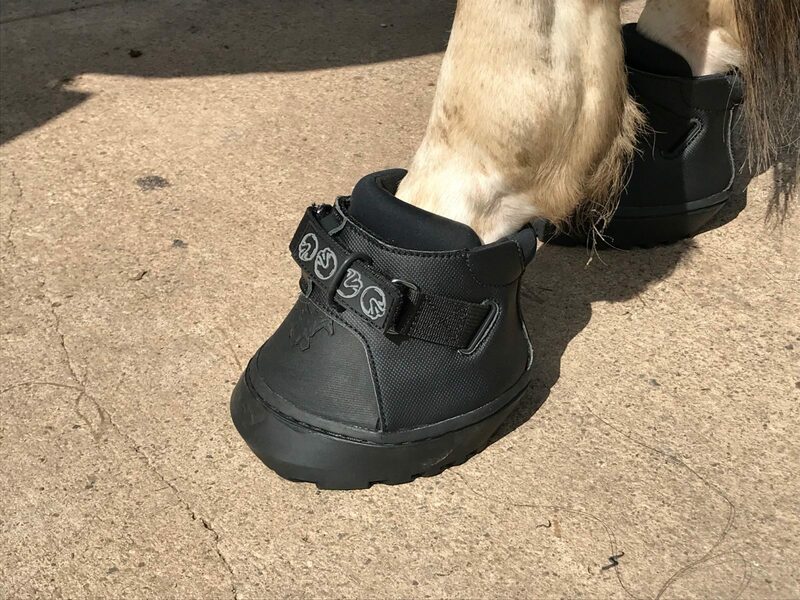 I think we’re making great advances in our product innovations and both of these designs offer groundbreaking improvements to the hoof care and protection marketplace. Next articleThe Best Cleaner for Easyboots: Dawn or Simple Green?